Summary: A new study of the genetic factors associated with ASD draws attention to the impact autism can have on motor skills and cognitive function. A new study of the genetic factors involved in the causation of autism spectrum disorders (ASD) draws fresh attention to the impact these illnesses have on motor skills, and more broadly on cognitive function. “Diminished motor skills appear to be an almost universal property of children with autism,” says Professor Michael Wigler, one of three researchers including Ivan Iossifov from Cold Spring Harbor Laboratory (CSHL) and the New York Genome Center, and Andreas Buja, a statistician from The University of Pennsylvania, who led the team. Wigler adds that careful inference from the data suggests to him that the genetic factors causing ASD broadly diminish the brain’s cognitive functions. 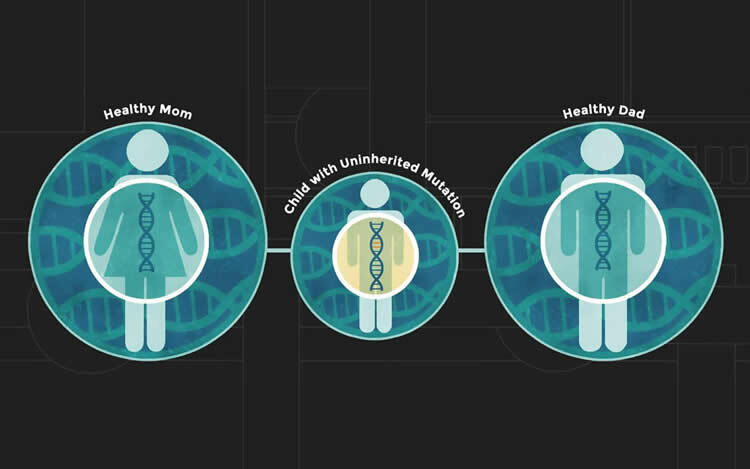 These genetic factors are increasingly becoming known, and are of two types: inherited mutations, and what scientists call de novo mutations. The latter are changes to the DNA that do not appear in the genetic makeup of either parent and are new in the child. Past research at CSHL and elsewhere has revealed that the presence of damaging de novo mutations correlates with lower non-verbal IQ. The more severe the mutations, the more pronounced the impact. The new study finds that diminished motor skills, like lower IQ, also correlate significantly with de novo mutations in ASD, and is an even more sensitive indicator of the damage of a de novo mutation than is IQ, say the researchers. Interestingly, the researchers find that the defining core behavioral components of ASD — impaired social skills and communication — do not correlate with either the presence or severity of de novo mutations. In other words, a child with autism who has a severe de novo mutation is no more likely to have severely impaired social skills than is a child with autism for whom no such mutation was found, and who presumably has inherited his causal factors. Restating, the researchers now think that children who have autism as a consequence of inherited factors have less general cognitive damage than those with severe de novo mutations, which, says Wigler, in puzzling on the face of it. One speculation from Wigler is that mutations with very damaging impact on cognition will tend to be eliminated rapidly from the gene pool, as people with them are less likely to have children. Thus inherited factors will have low cognitive impact relative to their general behavioral impact. By contrast, de novo mutations have no such constraint. Thus individuals on the spectrum as a result of inherited factors will tend to have less impairment of IQ and motor skills relative to their core behavioral components than individuals who have severe de novo mutations. Mutations that appear in a child which are not present in either parent — called de novo mutations — can be important in autism. Severe, gene-disrupting de novo mutations are thought to be capable of causing the disorder in certain instances. New research shows that diminished motor skills, like low non-verbal IQ, correlate with the severity of de novo mutations. More broadly the study calls attention to role played by genetics in diminished cognitive functions in children across the autism spectrum. NeuroscienceNews.com image is credited to Dept. of Public Affairs, Cold Spring Harbor Laboratory. This study was based on DNA sequence and deep phenotypic data from the Simons Simplex Collection, a set of 2,760 families that have a single child affected by ASD. Funding: The study was funded by SFARI grants (3) by the Simons Foundation. Image Source: NeuroscienceNews.com image is credited to Dept. of Public Affairs, Cold Spring Harbor Laboratory. Original Research: Open access research in PNAS. CSHL “Autism Genetics Study Calls Attention to Motor Skills and General Cognitive Impairment.” NeuroscienceNews. NeuroscienceNews, 8 February 2018. CSHL “Autism Genetics Study Calls Attention to Motor Skills and General Cognitive Impairment.” http://neurosciencenews.com/asd-genetics-cognition-motor-8454/ (accessed February 8, 2018). In individuals with autism spectrum disorder (ASD), de novo mutations have previously been shown to be significantly correlated with lower IQ but not with the core characteristics of ASD: deficits in social communication and interaction and restricted interests and repetitive patterns of behavior. We extend these findings by demonstrating in the Simons Simplex Collection that damaging de novo mutations in ASD individuals are also significantly and convincingly correlated with measures of impaired motor skills. This correlation is not explained by a correlation between IQ and motor skills. We find that IQ and motor skills are distinctly associated with damaging mutations and, in particular, that motor skills are a more sensitive indicator of mutational severity than is IQ, as judged by mutational type and target gene. We use this finding to propose a combined classification of phenotypic severity: mild (little impairment of either), moderate (impairment mainly to motor skills), and severe (impairment of both IQ and motor skills).